ICT in Reception: We have been busy using everyday objects as part of our Technology work. We made toast! The children talked about how to keep themselves safe, how to use the toaster and they buttered and spread their own topppings. The favourite topping was chocolate spread and sprinkles. We had great fun at our Easter disco... who was the best dancer? Parent Partnership: Easter Project 🌿🐰🐣 Don’t forget to get involved with our Easter parent project at home with your child. We celebrated St David’s Day dressed in yellow and also supported a chosen charity for Liver Disease. The children donated £1 and had a go on the yellow themed tombola. We had great fun choosing a ticket and winning a prize. The children were set a homework task last week to follow a set of instructions. In class we were writing instructions to make pancakes ready for Shrove Tuesday. The children made cakes, paper aeroplanes and made their own pancakes at home. Well done to our fantastic supporting parents. Olaf has been helping us to use ‘positional language’. Where is Olaf... the children have had to use their language to describe where Olaf is! We then played a game with our partners, following the instruction the children had to stand in the correct position. We had lots of fun! A busy week at school learning about the weather... the children have been creating their own weather map and labelling it. We have been learning all about capital letters and their names, forming capital letters and putting the alphabet in the correct order. Following children’s interests, the children have been creating using an independent learning space. They are able to self access, select their own resources, use tools for a purpose and create! We have been involved in the ‘Reverse Advent Calander’ as part of our Mac Experience. We have been donating towards the local ‘Food Bank’, giving to others. In Reception we had to collect the food from the other classes and put it together at the collection point in the hall. We also decided to have a ‘random act of kindness’ Christmas tree this year. We all had an act of kindness to carry out during Advent. Advent: We are busy preparing in Reception for the birth of a very special baby. The children have made their own advent wreath and we have been opening our chocolate Advent calanders too. This week in Reception we have used the outside learning environment to learn all about a famous artist and sculpture. Andy Goldsworthy only uses natural resources to create his fantastic sculptures. The children have been creating their own sculptures, wrapping sticks for fine motor development, leaf rubbing, making clay hedgehogs and playing leaf angels. We have worked collaboratively with our Nursery children and have all enjoyed being outside. Our First Parent Project was a huge success. 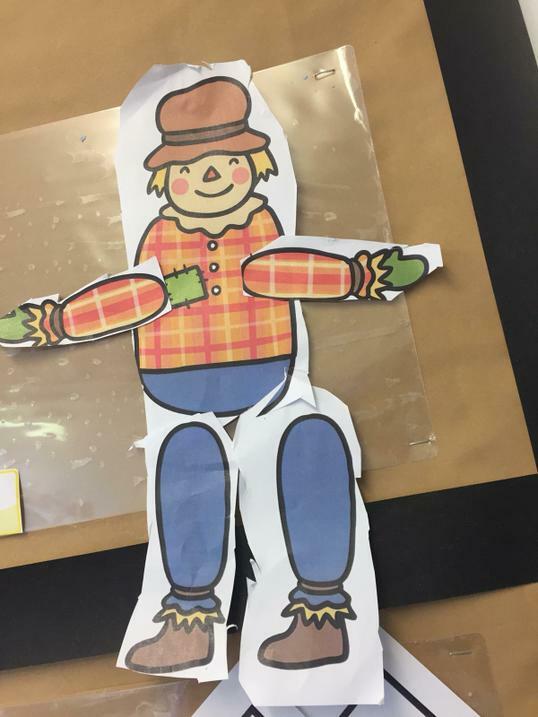 During half term our families in Reception have been creating their own Scarecrows linked to the story ‘The Scarecrows Wedding’. The children were delighted to see everyone’s fantastic efforts today. 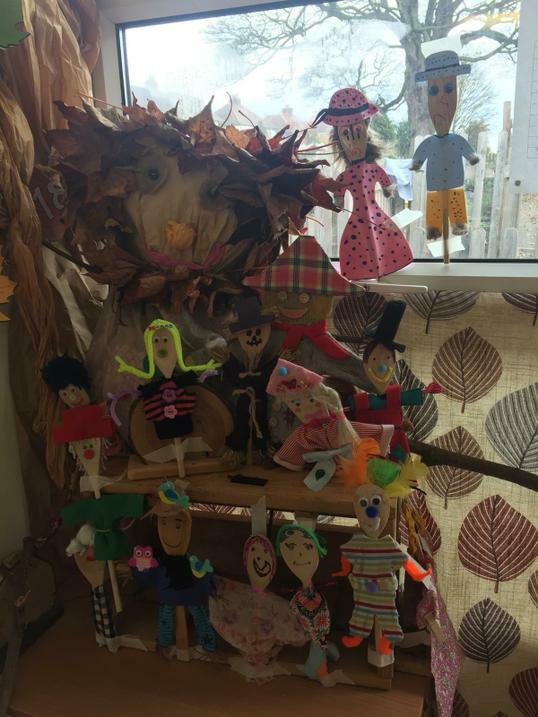 Thank you to everyone who has made a scarecrow so far. autumn, Diwali, fireworks, pattern, vegetable soup, numbers 1-20 and learning new sounds. We always have fun times in Reception!